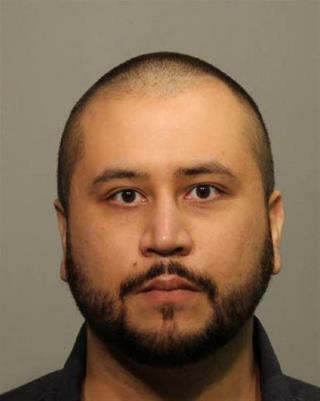 (Newser) – It was allegedly a thrown bottle of wine that landed George Zimmerman in jail for 14 hours this weekend and not a firearm, though the judge in his aggravated assault case has ordered Zimmerman to surrender all his guns, reports the Orlando Sentinel. Zimmerman was arrested Friday night, though the incident in question took place just before midnight Monday, when cops pulled over his girlfriend. Question: hOW IS HE still ALIVE?????? ?Nobodyhas the BALLS to wack him by now ,sh#t Ive see on the news people dying over a pair of Jordans or expensive materials! He's attracting the kind of women who'd date a man with a reputation like George Zimmerman's. Think about that.